Holly Cook, yoga teacher and massage therapist, has had a passion for health and wellness as long as she can remember. Classically trained in ballet from age 5-18, she developed an affinity for anatomy and physiology, and body awareness very early on. After years of studying yoga, massage and holistic nutrition therapy she was inspired to grow her personal practice from a lifestyle into a career. Holly combines her experience in yoga and massage to maximize the body’s potential for healing. She uses yoga to assess structural dysfunction, as well as to warm and relax the body in preparation for a massage session. 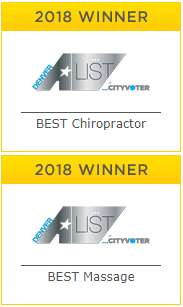 Her massage practice is therapeutic and treatment based incorporating a combination of techniques including Swedish, Deep Tissue, Trigger Point, Thai Yoga Acupressure, and Stretching. Each session focuses on targeting aches and pains, and tension areas depending on the individual needs of each client. As a very intuitive and compassionate therapist, she provides a safe space to let go of anything that is no longer serving the client – whether it be physical, emotional, or cerebral. 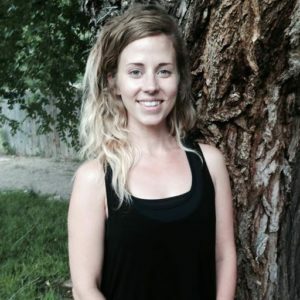 Holly graduated from Core Power Yoga Teacher Training in 2012 and from Denver Integrative Massage School – with an emphasis in Thai Yoga Massage – in 2015. She also holds a Bachelors of Communications and Journalism from Colorado Mesa University in Grand Junction, Colorado. From 2012-2014 Holly coordinated the wellness and yoga program at AVEDA Institute Denver leading workshops on yoga, nutrition and Ayurveda philosophy. She also attended the Nutrition Therapy Institute in Denver, Colorado from 2011-2012. Additionally Holly writes a blog – Yoga + Massage Co – which focuses on daily acts of self-care.